On the hunt for that perfect used car? 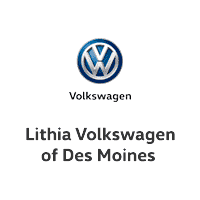 When you choose a pre-owned vehicle from Lithia Volkswagen of Des Moines, you can trust that whatever make and model you choose has been thoroughly inspected for quality. Better yet, we have a variety of used car specials available so you can feel good about what you choose to drive home to Ubandale. After you’ve taken a look at our pre-owned vehicle specials online, be sure to contact us to make an appointment and visit us in person! We look forward to getting you behind the wheel of a pre-owned car you’re excited about for a price you’ll love. Want to make your vehicle even friendlier on your wallet? Consider trading in your vehicle. CARFAX 1-Owner, ONLY 3,731 Miles! EPA 27 MPG Hwy/21 MPG City! Heated Seats, CD Player, iPod/MP3 Input, Onboard Communications System, Dual Zone A/C, Keyless Start, Turbo Charged Engine, Aluminum Wheels, Satellite Radio SEE MORE! KEY FEATURES INCLUDE All Wheel Drive, Heated Driver Seat, Back-Up Camera, Turbocharged, Satellite Radio, iPod/MP3 Input, CD Player, Onboard Communications System, Aluminum Wheels, Keyless Start, Dual Zone A/C, Smart Device Integration, Blind Spot Monitor, Heated Seats. Rear Spoiler, MP3 Player, Keyless Entry, Privacy Glass, Child Safety Locks. OPTION PACKAGES ROADSIDE ASSISTANCE KIT booster cables, warning triangle, LED flashlight, work gloves, PVC tape, multi-tool, blanket, poncho, whistle, cable ties and bandages. Volkswagen SE with MOSS GREEN exterior and BLACK LEATHERETTE interior features a 4 Cylinder Engine with 184 HP at 4400 RPM*. EXPERTS CONCLUDE Edmunds.com's review says Top-notch material quality is evident throughout. The Tiguan feels more upscale than most in the segment.. Great Gas Mileage: 27 MPG Hwy. BUY WITH CONFIDENCE CARFAX 1-Owner OUR OFFERINGS Lithia is one of America's largest automotive retailers. We are focused on providing customers with an honest and simpler buying and service experience. We are giving customers straightforward information so that they can make confident decisions. We believe that our local communities are our lifeblood. In addition to the employment opportunities we provide in each of our neighborhoods, we also provide contributions to charitable organizations that serve our families, friends, and customers. Plus tax, title, license and $180 dealer documentary service fee. Price contains all applicable dealer offers and non-limited factory offers. You may qualify for additional offers; see dealer for details. EPA 31 MPG Hwy/22 MPG City! CARFAX 1-Owner, GREAT MILES 15,127! Heated Leather Seats, iPod/MP3 Input, Satellite Radio, Onboard Communications System, CD Player, Aluminum Wheels, ROADSIDE ASSISTANCE KIT, Turbo Charged Engine READ MORE! KEY FEATURES INCLUDE Leather Seats, All Wheel Drive, Heated Driver Seat, Back-Up Camera, Turbocharged, Satellite Radio, iPod/MP3 Input, CD Player, Onboard Communications System, Aluminum Wheels, Keyless Start, Dual Zone A/C, Smart Device Integration, Brake Actuated Limited Slip Differential, Heated Seats. Rear Spoiler, MP3 Player, Keyless Entry, Child Safety Locks, Steering Wheel Controls. OPTION PACKAGES ROADSIDE ASSISTANCE KIT booster cables, warning triangle, LED flashlight, multi-tool, work gloves, PVC tape, blanket, poncho, whistle, cable ties and bandages. Volkswagen Golf R with TORNADO RED exterior and BLACK LEATHER interior features a 4 Cylinder Engine with 292 HP at 5400 RPM*. EXPERTS CONCLUDE Edmunds.com's review says Impressive performance; civilized ride; upscale interior; generous cargo capacity; admirable fuel economy; standard all-wheel drive.. Great Gas Mileage: 31 MPG Hwy. MORE ABOUT US Lithia is one of America's largest automotive retailers. We are focused on providing customers with an honest and simpler buying and service experience. We are giving customers straightforward information so that they can make confident decisions. We believe that our local communities are our lifeblood. In addition to the employment opportunities we provide in each of our neighborhoods, we also provide contributions to charitable organizations that serve our families, friends, and customers. Plus tax, title, license and $180 dealer documentary service fee. Price contains all applicable dealer offers and non-limited factory offers. You may qualify for additional offers; see dealer for details. PRICE DROP FROM $15,421, $2,100 below NADA Retail! CARFAX 1-Owner, ONLY 39,503 Miles! S Plus trim. Moonroof, iPod/MP3 Input, Bluetooth, CD Player, POWER TILT/SLIDE MOONROOF, Aluminum Wheels, Back-Up Camera. AND MORE! KEY FEATURES INCLUDE Back-Up Camera, iPod/MP3 Input, Bluetooth, CD Player, Aluminum Wheels. Rear Spoiler, MP3 Player, Remote Trunk Release, Keyless Entry, Steering Wheel Controls. OPTION PACKAGES POWER TILT/SLIDE MOONROOF sliding sunshade. Toyota S Plus with SLATE METALLIC exterior and BLACK interior features a 4 Cylinder Engine with 132 HP at 6000 RPM*. EXPERTS ARE SAYING Edmunds.com explains Copious rear legroom; impressive fuel economy; user-friendly controls; generous standard equipment; pleasant ride.. AFFORDABLE TO OWN Reduced from $15,421. This Corolla is priced $2,100 below NADA Retail. WHY BUY FROM US Acura of Johnston features a wide selection of new Acura and used Acura cars, trucks and SUVs. We carry all of the latest and most popular Acura models, but Acura of Johnston also has Acura Certified Pre-Owned Vehicles that meet Acura's demanding standards for quality and pass a meticulous certification process. We will explain the features and benefits of each model so you can choose which is perfect for you. If you already have a model in mind feel free to stop by for a test drive! Plus tax, title, license and $180 dealer documentary service fee. See dealer for details. WAS $16,098, $1,200 below NADA Retail!, FUEL EFFICIENT 36 MPG Hwy/25 MPG City! CARFAX 1-Owner. Blind Spot Monitor, Onboard Communications System, Smart Device Integration, Cross-Traffic Alert, Back-Up Camera, Aluminum Wheels AND MORE! KEY FEATURES INCLUDE Back-Up Camera, Satellite Radio, iPod/MP3 Input, Onboard Communications System, Aluminum Wheels, Blind Spot Monitor, Cross-Traffic Alert, Smart Device Integration. MP3 Player, Keyless Entry, Remote Trunk Release, Steering Wheel Controls, Child Safety Locks. Kia LX with SNOW WHITE exterior and BLACK interior features a 4 Cylinder Engine with 185 HP at 6000 RPM*. EXPERTS CONCLUDE The good news is that superior handling doesn't come at the expense of a harsh ride. -KBB.com. EXCELLENT VALUE Was $16,098. This Optima is priced $1,200 below NADA Retail. VISIT US TODAY Acura of Johnston features a wide selection of new Acura and used Acura cars, trucks and SUVs. We carry all of the latest and most popular Acura models, but Acura of Johnston also has Acura Certified Pre-Owned Vehicles that meet Acura's demanding standards for quality and pass a meticulous certification process. We will explain the features and benefits of each model so you can choose which is perfect for you. If you already have a model in mind feel free to stop by for a test drive! Plus tax, title, license and $180 dealer documentary service fee. See dealer for details. CARFAX 1-Owner. WAS $21,514, EPA 24 MPG Hwy/17 MPG City!, $2,200 below NADA Retail! Bluetooth, iPod/MP3 Input, Dual Zone A/C, Keyless Start, 4x4, TRANSMISSION: 8-SPEED AUTOMATIC (845R... QUICK ORDER PACKAGE 23E, Alloy Wheels CLICK ME! KEY FEATURES INCLUDE 4x4, iPod/MP3 Input, Bluetooth, Aluminum Wheels, Keyless Start, Dual Zone A/C Rear Spoiler, MP3 Player, Keyless Entry, Privacy Glass, Child Safety Locks. OPTION PACKAGES QUICK ORDER PACKAGE 23E Engine: 3.6L V6 24V VVT, Transmission: 8-Speed Automatic (845RE), Power 4-Way Driver Lumbar Adjust, 1-Yr, SIRIUSXM Radio Service, Bright Side Roof Rails, Power 8-Way Driver/Manual Passenger Seat, SIRIUSXM Satellite Radio For more information, call 800-643-2112, Not available w/AK, HI, Puerto Rico, St, Thomas/Virgin Islands, Barbados, Dominican Republic and Guam, ENGINE: 3.6L V6 24V VVT (STD), TRANSMISSION: 8-SPEED AUTOMATIC (845RE) (STD). EXPERTS REPORT Edmunds.com explains If you want a midsize SUV that does a little of everything, the 2015 Jeep Grand Cherokee is the way to go. Its well-trimmed cabin is comfy for five, and it's one of the few remaining utility vehicles that can handle both off-road trails and daily commutes.. AFFORDABLE Was $21,514. This Grand Cherokee is priced $2,200 below NADA Retail. OUR OFFERINGS Acura of Johnston features a wide selection of new Acura and used Acura cars, trucks and SUVs. We carry all of the latest and most popular Acura models, but Acura of Johnston also has Acura Certified Pre-Owned Vehicles that meet Acura's demanding standards for quality and pass a meticulous certification process. We will explain the features and benefits of each model so you can choose which is perfect for you. If you already have a model in mind feel free to stop by for a test drive! PURCHASE WITH CONFIDENCE CARFAX 1-Owner Plus tax, title, license and $180 dealer documentary service fee. See dealer for details. CARFAX 1-Owner. REDUCED FROM $29,998!, EPA 26 MPG Hwy/18 MPG City!, $400 below NADA Retail! Moonroof, Third Row Seat, Heated Leather Seats, Back-Up Camera, Premium Sound System, Rear Air, Aluminum Wheels, All Wheel Drive CLICK NOW! KEY FEATURES INCLUDE Leather Seats, Third Row Seat, Sunroof, All Wheel Drive, Power Liftgate, Rear Air, Heated Driver Seat, Back-Up Camera, Premium Sound System, Satellite Radio, iPod/MP3 Input, Bluetooth, Aluminum Wheels, Keyless Start, Dual Zone A/C. Rear Spoiler, MP3 Player, Keyless Entry, Privacy Glass, Remote Trunk Release. Acura w/Tech with Crystal Black Pearl exterior and Ebony interior features a V6 Cylinder Engine with 290 HP at 6200 RPM*. EXPERTS ARE SAYING Interior storage is excellent, with big cupholders and door bins, plus a deep center bin that can hold a small purse or tablet. -Edmunds.com. AFFORDABILITY Was $29,998. This MDX is priced $400 below NADA Retail. OUR OFFERINGS Acura of Johnston features a wide selection of new Acura and used Acura cars, trucks and SUVs. We carry all of the latest and most popular Acura models, but Acura of Johnston also has Acura Certified Pre-Owned Vehicles that meet Acura's demanding standards for quality and pass a meticulous certification process. We will explain the features and benefits of each model so you can choose which is perfect for you. If you already have a model in mind feel free to stop by for a test drive! SHOP WITH CONFIDENCE CARFAX 1-Owner Plus tax, title, license and $180 dealer documentary service fee. See dealer for details. Acura Certified, CARFAX 1-Owner. PRICE DROP FROM $31,997, FUEL EFFICIENT 26 MPG Hwy/18 MPG City! Moonroof, Heated Leather Seats, Third Row Seat, Back-Up Camera, Premium Sound System, Rear Air, Aluminum Wheels, All Wheel Drive CLICK ME! KEY FEATURES INCLUDE Leather Seats, Third Row Seat, Sunroof, All Wheel Drive, Power Liftgate, Rear Air, Heated Driver Seat, Back-Up Camera, Premium Sound System, Satellite Radio, iPod/MP3 Input, Bluetooth, Aluminum Wheels, Keyless Start, Dual Zone A/C. Rear Spoiler, MP3 Player, Keyless Entry, Privacy Glass, Remote Trunk Release. Acura w/Tech with White Diamond Pearl exterior and Parchment interior features a V6 Cylinder Engine with 290 HP at 6200 RPM*. EXPERTS CONCLUDE Edmunds.com explains Interior storage is excellent, with big cupholders and door bins, plus a deep center bin that can hold a small purse or tablet.. AFFORDABLE Reduced from $31,997. WHO WE ARE Acura of Johnston features a wide selection of new Acura and used Acura cars, trucks and SUVs. We carry all of the latest and most popular Acura models, but Acura of Johnston also has Acura Certified Pre-Owned Vehicles that meet Acura's demanding standards for quality and pass a meticulous certification process. We will explain the features and benefits of each model so you can choose which is perfect for you. If you already have a model in mind feel free to stop by for a test drive! BUY WITH CONFIDENCE Balance of original 7-year/100,000-Mile Powertrain Warranty, Additional 1-year/12,000-mile Non-Powertrain Warranty, 24-Hour Roadside Assistance, 182 point inspection, Trip-Interruption Services, Some of our pre-owned vehicles may have unrepaired safety recalls. Check vinrcl.safercar.gov/vin/ SEE DEALER FOR DETAILS. SOME OF OUR PRE-OWNED VEHICLES MAY BE SUBJECT TO UNREPAIRED SAFETY RECALLS. CHECK FOR A VEHICLE'S UNREPAIRED RECALLS BY VIN AT HTTP: //VINRCL.SAFECAR.GOV/VIN/ Plus tax, title, license and $180 dealer documentary service fee. See dealer for details.